Slip-and-fall accidents represent the leading cause of spinal back injuries in the US and, according to statistics, in the cold season this type of accidents triples in numbers. As the weather becomes colder, snow and ice will appear. You are more prone to slip and fall in the snow in Maryland than to suffer a slip-and-fall accident during the warm season. Ideally, the municipality and the property owners take precautions to avoid people getting hurt on premises. 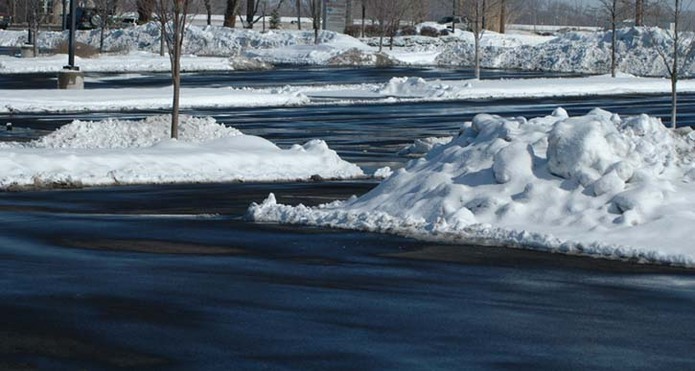 They remove snow, treat black ice with efficient chemicals to melt it and warn people of the hazardous patches on the property. But many times, owners become negligent, and people get hurt. And when that happens it is your right to seek compensation and contact a personal injury lawyer from Maryland. But, as any Annapolis injury lawyer will tell you, slip-and-fall accidents caused by snow and ice are difficult to prove in court. Many times, you will need a snow expert witness from Maryland to testify. Why would your need a snow expert witness? Did the owner follow the correct ice or snow removal procedures? Did you exercise reasonable care in the situation that caused your accident? What other factors may have contributed to the accident? These are just examples of the questions that may come up in court. An expert witness in your case is somebody who has a successful experience and in-depth knowledge of the snow and ice conditions. They should professionals and be able to prove that they have expert knowledge. How to select an expert witness for your case? Your Annapolis injury attorney will be responsible for selecting the expert witness. Most often, such a witness is somebody who creates weather reports and other types of reports that investigate how the owner approached the hazardous conditions on their property. This means that they will look into the anti-icing and de-icing procedures used by the owner, as well as into the pre-treatment property management. Your personal injury lawyer from Maryland will interview experts and decide upon the best individual for your case. The testimony of the expert witness is very important because the jury or the judge are more prone to accept testimonies from professionals with the proper credentials. This is why selecting an expert witness should not be taken lightly. Discuss it with your Annapolis injury attorney and, together, decide upon the best person for your case. If you need more information about the procedures in case of a slip-and-fall injury or you want to verify the validity of your claim, contact the best Annapolis injury attorney at (443) 569-3950 or by email at [email protected]. You will receive a free consultation and together we will prepare the best strategy for your case.